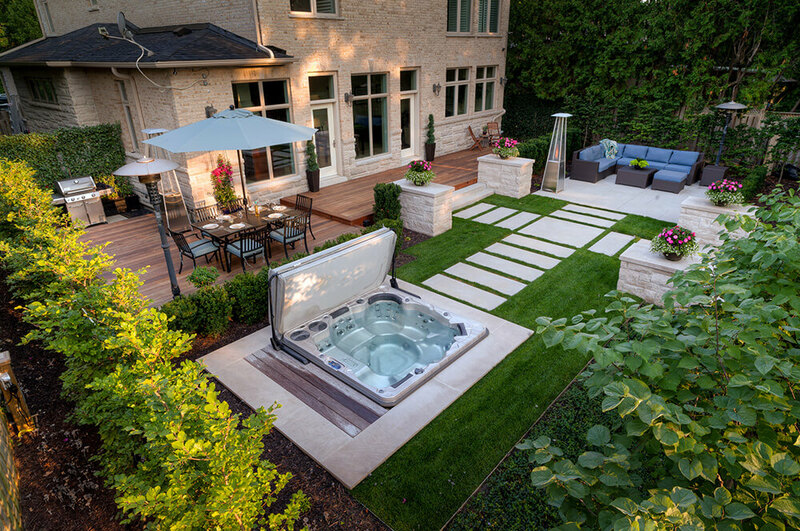 As Ottawa’s trusted hot tub supplier, we provide customers with the products they need to relax and unwind in the comfort of their own backyard. We carry a full range of hot tub models to help you create your own personal oasis, whether you’re looking for a therapeutic escape from the stresses of the work day, gentle massage and exercise, or relief from aches and pains. 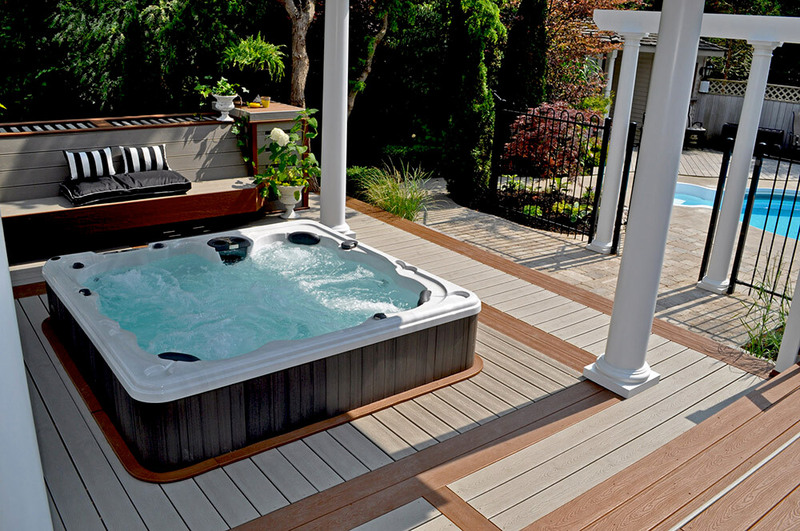 If you’re looking for the ultimate in relaxation, you can’t go wrong with a hot tub from Poolarama. With over 30 years’ experience as a hot tub and pool company in Ottawa, we’ve built a reputation for exceptional service and top-of-the-line products you can count on, including Hydropool’s range of self-cleaning hot tubs and much, much more. Ready to learn more? Fill out the form below to get more information on the hot tubs available at Poolarama – we’ll get you the details you need about your private oasis as soon as possible! Have you ever had trouble unwinding at the end of a long day? You’re not alone! Shaking off stress can be a challenge, but hot tubs can help. If you suffer from muscle or joint pain, a good soak in a hot tub can help ease the tension that builds up through the day. What’s more, jets provide a wonderful hydrotherapeutic massage, letting you relax and unwind in the comfort of your own home. Heat and warmth help increase blood flow, relaxing your muscles – making it the perfect way to get ready for and close out your workouts. The Hydropool Self-Cleaning system takes the worry and hassle out of hot tub maintenance with a hands-free cleaning system that safeguards you and your family by providing crystal clear purified water for your hot tub experience. The Self-Cleaning System actually cleans 100% of the water every 15 minutes and includes a built-in floor vacuum—all part of the worry-free, Self-Cleaning technology of Hydropool Hot Tubs. Don’t you wish everything in life could be this easy? Serenity Hot Tubs offer one of the most comfortable designs in the industry combined with spacious, deep seating. Available in several models, configurations, and colors, there is sure to be a perfect Serenity Hot Tub for you. The new sleek designs are available in a multitude of hydrotherapy packages and are available with a wide array of the most popular features and options. These hot tubs are manufactured with high-performance components, quality materials, and are backed by an industry-leading warranty. It’s hard to believe you can discover this much stress reduction, fun, and relaxation at such an affordable price! Discover the full range of Hydropool self-cleaning and Serenity hot tubs available at Poolarama. Yes! Hot tubs offer a wealth of benefits related to circulation, blood pressure, arthritis issues, muscle pain, and stress relief. They’re also a very popular option for hydrotherapy. Hot tub jets can help provide some relief for lower back pain, and their heat can help your muscles recover after a workout or strain. What is the difference between a hot tub and a Jacuzzi? Jacuzzi is a brand name and one of the first hot tub and spa manufacturers on the market. Hot tub is a term used interchangeably with spa, referring to a heated body of water that features jets for massaging action and bubbles. How many years does an outdoor hot tub last for? It depends on a combination of factors, but with proper maintenance and care, a good-quality hot tub can last 10+ years. What kind of surface do I need to have a hot tub installed on? You need a firm, level surface with proper drainage, and we recommend at least 8-12 inches of crushed stone below poured concrete, interlock, or patio stones. Hot tubs should never be installed on grass. What kind of power do I need for a hot tub? Hot tubs are typically either 240 volts or 120 volts, and as such require some careful wiring with an electric hookup. Your owner’s manual will provide the exact specifications necessary for operation. How much does it cost to put in a hot tub? This depends on the hot tub you choose, your property, and installation requirements. Installation costs do not include the price of your hot tub, but working with an experienced company such as Poolarama can help you get a detailed quote for all necessary work. Do you need a permit to put in a hot tub? The City of Ottawa requires a permit for hot tub installation should the water level ever be equal to or greater than 24 inches at any point.